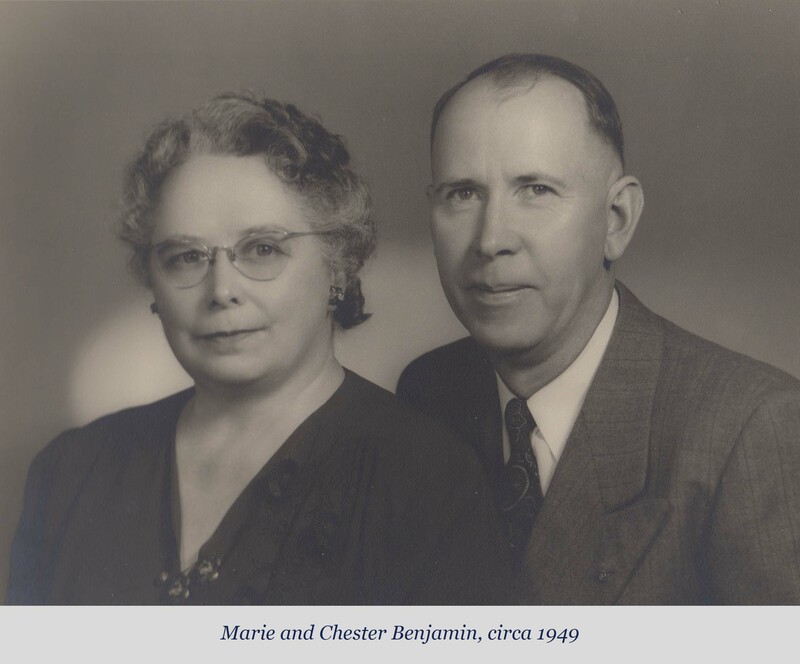 Chester and Marie Benjamin, residents of Coulee Dam, Washington, signed up through the Coulee Dam Community Church to send CARE packages to the Wagners. They chose to purchase the items and build the packages themselves. Chester Benjamin was an engineer who worked on the construction of the Grand Coulee Dam and later served as the city engineer. In true engineer style, Benjamin numbered each box and provided a list of its contents. Benjamin, however, wanted to do more than send packages. He taught himself German and the families began to exchange letters. "Hitler and the government was the enemy. My dad considered the people to be the victims." The Benjamins' daughter, Lois Lobdell, was 24-years old when her parents began sending CARE packages to Germany in 1946. Lobdell was married to John Lobdell and had a one-year old daughter, Marilyn. John was a Navy pilot, often deployed overseas. While John was away, Lois, Marilyn, and later, son, Jack, spent time with Chester and Marie in Coulee Dam. The Lobdells also got involved in the CARE packages. From 1946 to the mid-1950s, the Benjamins sent over seventy packages containing tea, tinned meat, vegetable seeds, chocolate bars, blankets, and clothing. Marie included homemade cookies packed in rice inside coffee cans. Letters traveled back and forth with the packages. Erna and Barbara affectionally addressed their letters to "Uncle Ben and Aunt Marie." Barbara signed hers, "Bärbel." One letter from the Wagners included an outline of Barbara's foot. Marilyn and her grandfather went shopping for shoes that would fit the outline. Barbara does not remember tracing her foot but she does remember the shoes. "No one had such shoes," she recalled. Read The Seattle Times story that inspired this project.